In May, an empty plot of land next to my elementary school would become a field of violets for a short while. I would spend the entire lunch hour gathering them, so many that my little hands could barely wrap around the bundle of fragile stems, the blossoms mounding up in a surfeit of purpleness. Last week, my neighbor's back yard was visited by a drift of white violets, sprinkled here and there with their purple cousins. I kneeled in this fairyland with her little daughter and we marveled at their delicate markings as we filled tiny vases. 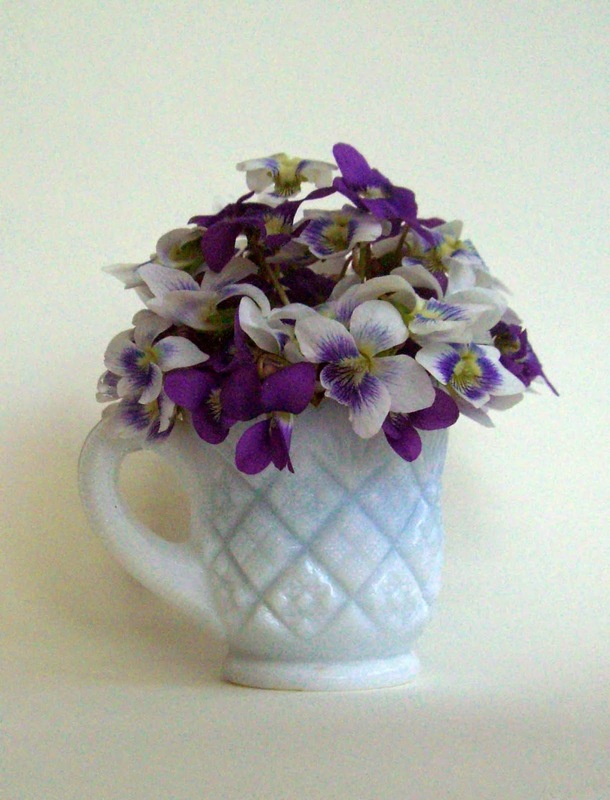 I hope she will remember this magical afternoon and always welcome some violets in her lawn.